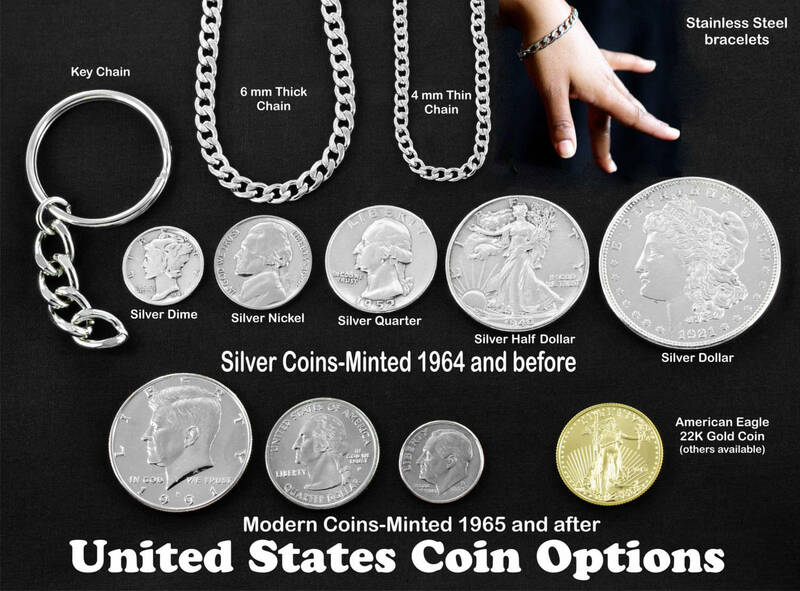 It may be hard to believe but this necklace is made from a quarter. 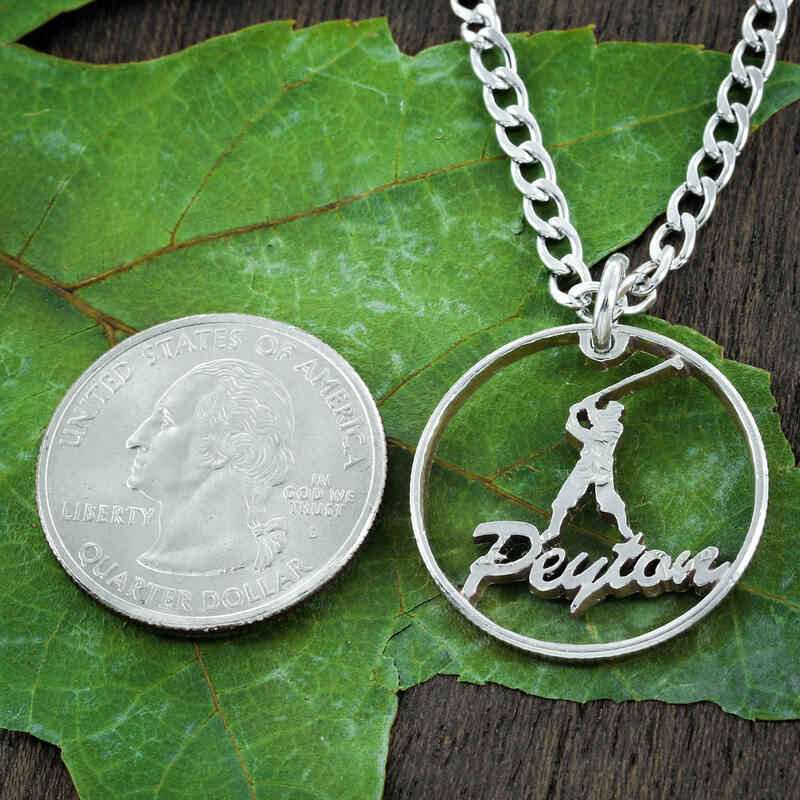 Most of the coin has been cut away and what is left is the silhouette of a golfer (we can do male or female) and a custom name. Despite most of the coin being gone, this piece is very strong. 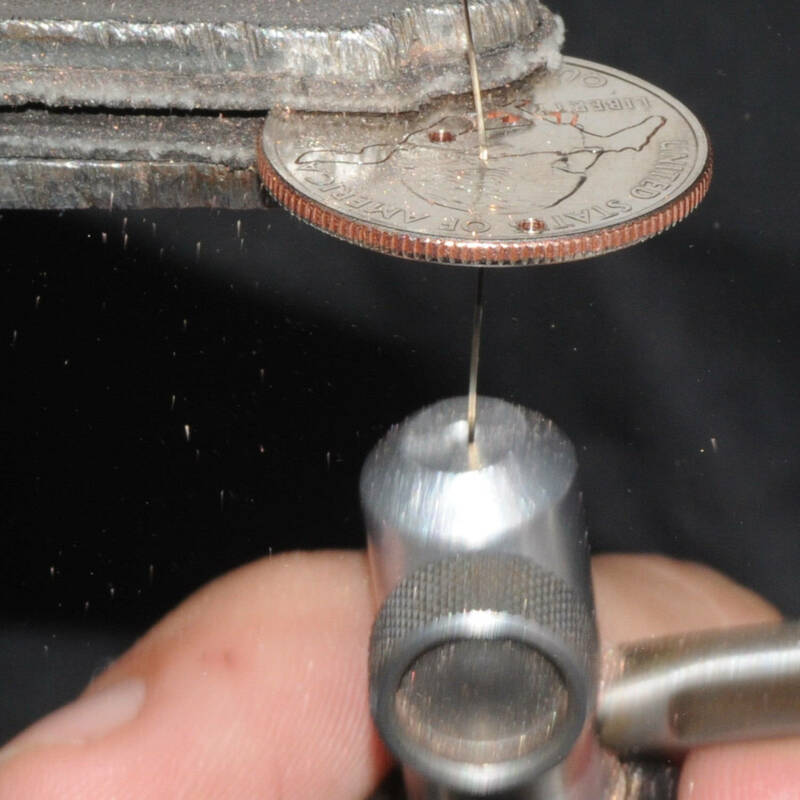 Its possible to cut this design the opposite way: where just the golfer and the name are cut away and most of the coin stays. If you would like it this way (Silhouette style instead of freestanding) then please let us know if your order comments. 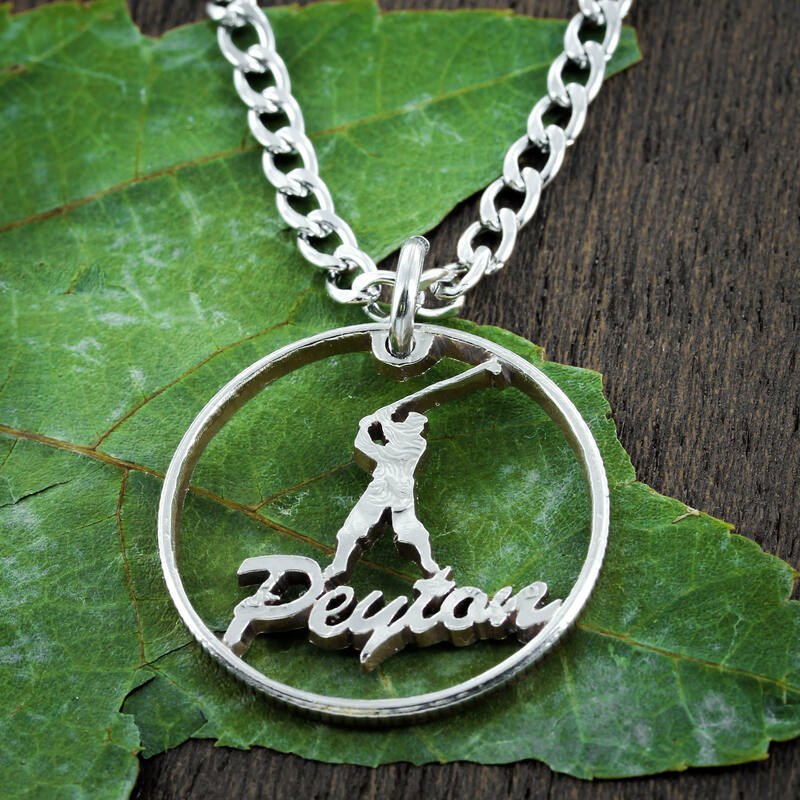 We also can make this into a golf marker or key chain instead of a necklace. 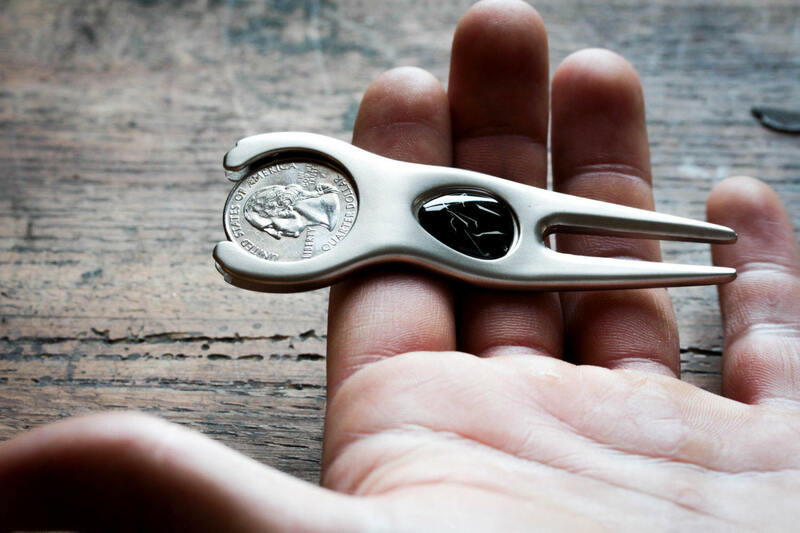 You can order a golf divot with this coin BUT THE DIVOT TOOL WILL ONLY FIT THE QUARTER SIZE. If you order the divot tool then we will not include the top hole that is used to attach a necklace unless you tell us in your order comments. Tell us any name 10 LETTERS or less in the comments and whether you would like a MALE OR FEMALE SILHOUETTE and we will get to work. If you would like more letters and/or symbols cut into it then shoot us a custom request. We aim to make you happy.